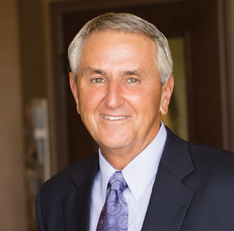 For over 25 years Dr. Brooks Haney has been commitment to helping Dallas have the best smile. His practice is dedicated to serving the patient in an innovative and comfortable atmosphere. Dr. Haney provides general, cosmetic implant, and restorative dentistry to meet all his patients needs. A native Texan, Dr. Haney was born and raised in Dallas. He received his bachelor’s degree from Southern Methodist University and his doctor of dental surgery degree from Baylor College of Dentistry. He is a member of numerous local, state, and national dental organizations, including the American Academy of Cosmetic Dentistry, the Dallas County Dental Society, the American Dental Association, and the Texas Dental Association. He has served three terms as a representative on the Dallas County Peer Review Board and has recently been an Adjunct Professor at the Baylor College of Dentistry in Operative Dentistry. He has also achieved the status of Goodfellow with the Dallas County Dental Society. Dr. Haney is proud to have completed the continuum at the prestigious L. D. Pankey Institute for Advanced Dental Education. The Pankey Institute is the leader in teaching postgraduate, advanced, restorative concepts to dentists worldwide. Dr. Haney takes numerous hours of continuing education in advanced concepts. He has studied with leaders in the fields of cosmetic dentistry and restorative dentistry, having taken courses at the Dawson Center for Advanced Dental Study and courses with Dr. Jon Kois. Dr. Haney and his staff have had training in TMJ therapies, wire-less braces (Invisalign), sleep apnea treatment, 6-months Smiles Braces, and advanced Deep Bleaching. He has also made many presentations to local dental study clubs in the fields of implantology and cosmetics. Throughout his career, Dr. Haney has committed his practice to high-quality care delivered in a personalized and extremely caring environment. He and his staff are continually educated in the most advanced dental techniques. He has found that many patients appreciate the opportunity to speak and be heard. He allows sufficient time to listen to patient desires and concerns, as well as answer all of their questions before treatment begins. Dr. Haney believes it is more important to know the patient and understand their concerns and desires than to merely examine teeth. People really appreciate not feeling rushed and spending quality time with the doctor. Read More About G. Brooks Haney, D.D.S.